This stand-up robot comes complete with flashing eyes and instrument panel for extra authenticity. The card is embellished with silver foil and comes with a foil envelope. 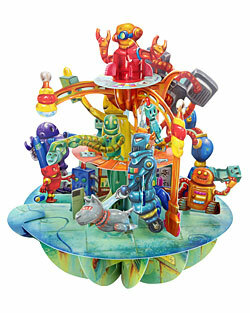 Card contains 1 cut-out, self-assemble robot figure. Envelope Size: 5" x 7"